Every room needs a lamp – the big question is, what kind of lamp would you purchase for your brand new room or home? Surely your design has a theme of its own, and it makes perfect sense to purchase an accessory that would flow along with the general room’s “mood”. How about checking out the £179.99 Holi Smart Mood Lamp? I know, it is rather pricey when you think about it, but the Holi Smart Mood Lamp is definitely worth a look – or maybe, even a second glance. After all, you are able to change the glowing ambiance of your surroundings with a single click, letting it transform dull walls into rich and vibrant light tapestries. 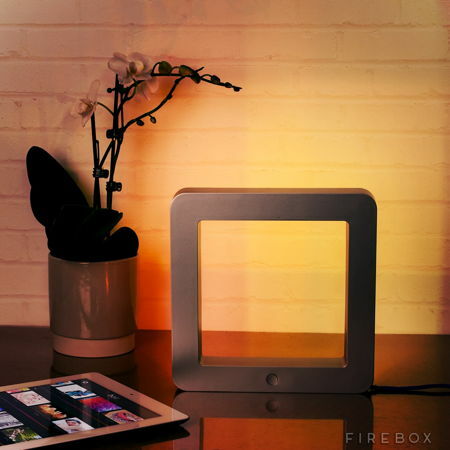 Not only that, you are also able to transform music into light (take that at face value and not some sort of scientific breakthrhough), where the colors emitted from the lamp itself will be according to the tempo of your favorite tunes that are being played back in the background. Not only that, it is also capable of bringing old photos back to life as magnificent lighting scenes, and night owls will also find it a whole lot easier to wake up early in the morning thanks to the built-in dawn simulator. In a nutshell, you can more or less describe the Holi Smart Mood Lamp as the most versatile mood light that is available in the market at the moment.